Thank you for viewing my Lake Superior Agate page! I found all of the agates listed on this page. All are from the shores of Michigan's Upper Peninsula. 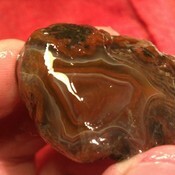 I will be listing more agates in the near future, so please visit often! bonzuser_yafmt doesn't have any items in their booth!